Iomar do Nascimento, known as Mazinho is a Brazilian footballplayer. He had 35 caps with the Brazilian national team with the first one coming in May 1989 in a friendly against Peru and the last one during the 1994 World Cup.His main achievement was winning the 1994 World Cup where he was the third member of the three men and baby celebration with Bebeto and Romário in the quarter-final win against the Netherlands. 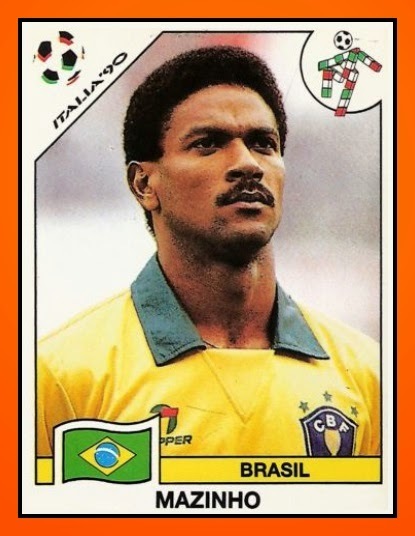 Mazinho was also a Copa América winner in 1989 at which point he was playing as a full-back for Brazil. He was also named in the squads for the 1990 World Cup and the 1991 Copa América and won a Silver medal at the 1988 Olympics. 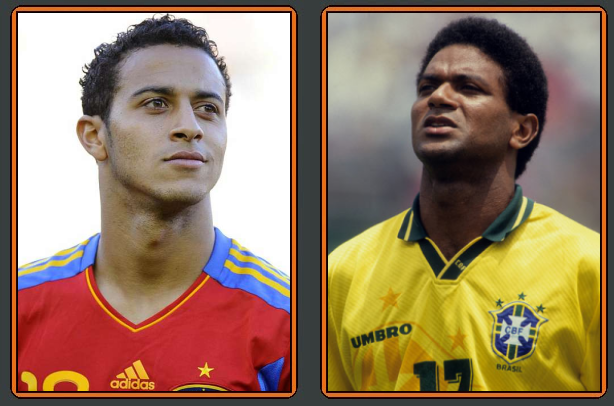 Mazinho played for many teams in Europe and during the 1990-91 season when he was in Itlay for the club of Lecce he had a child : Thiago Alcântara do Nascimento but everybody knows him today as Thiago Alcântara. Then he had another son in 1993 when he played at home with Palmeiras. His second son is Rafael Alcântara do Nascimento commonly known as Rafinha. Both are former Barcelona players but Thiago plays now for Spain (and Bayern München) and Rafinha is still a Barcelona player (loan to Celta this season) and plays for his native country with Brazil U20.